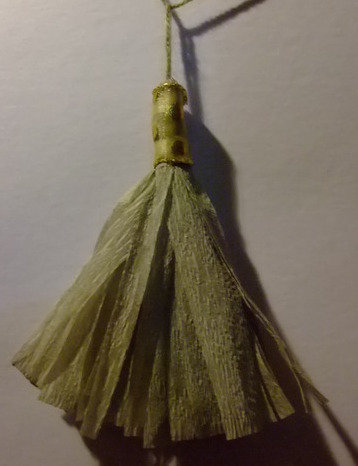 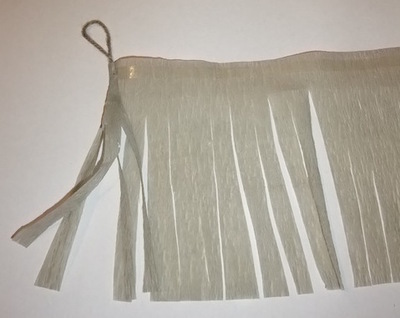 Festive crepe tassels can be made from tissue paper, crepe paper or shiny tinsel paper. 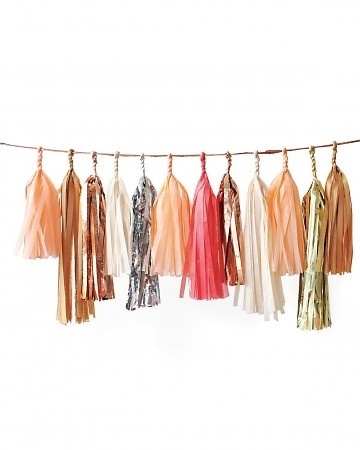 You can make a few or alot and string them together to make a tassel garland. 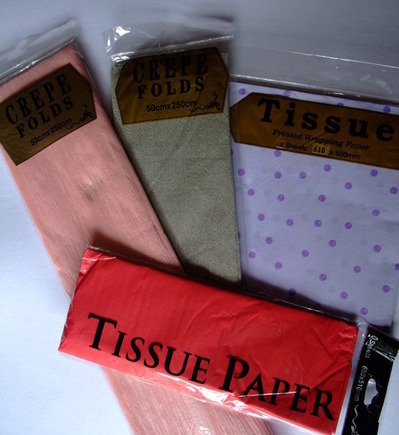 Cut your crepe paper into strips and fold over as a marker where you would like to cut to. 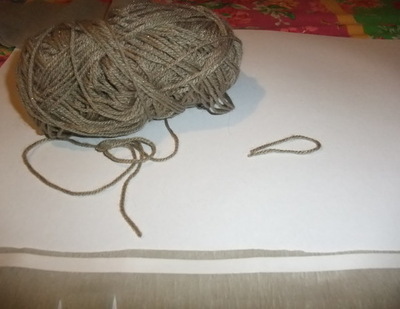 Along the top run a strip of double sided tape.Cut a small piece of string or wool to make a loop. 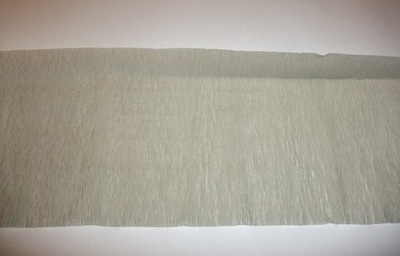 Remove the double sided tape and roll making sure to place the loop at the start of the rolling. 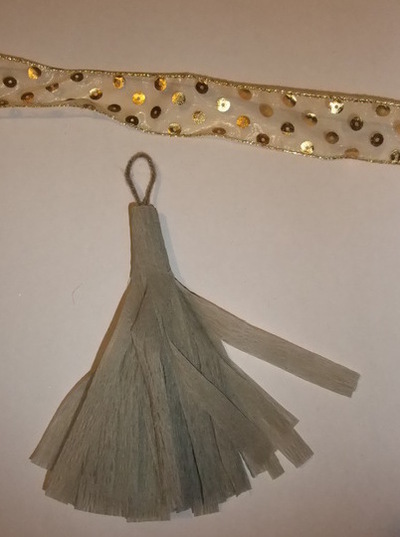 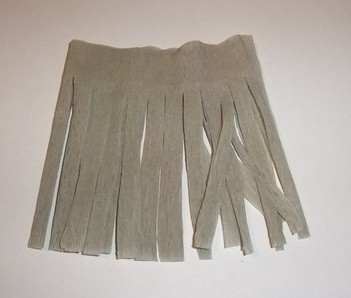 Trim a small piece of ribbon, add double sided tape or craft glue and stick along the top.